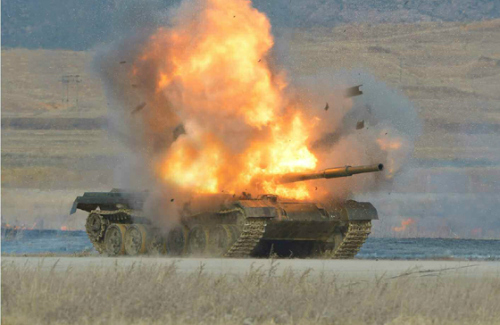 It's National Blow Up Your Neighbour's Tank Day in North Korea, and the celebrations are going along like a house tank on fire. But what's this? 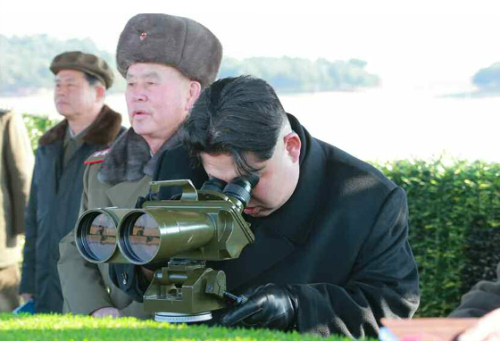 Supreme Leader Kim Jong-un has fallen for the old Superglue-on-the-binocular-eyepieces gag AGAIN. He'll never learn. And the Superglue-on-the-binocular-eyepieces joker gets his just reward for - what is, after all - the funniest joke in the world short of blowing somebody up. Ha. Ha ha. Ha ha ha. Ha ha ha ha haaaaaargh, I'm dead. 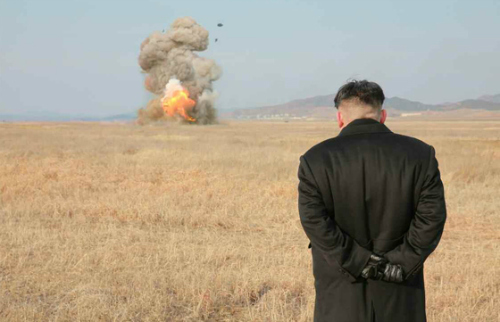 North Korea needs to be left off your places to see or you will never return. 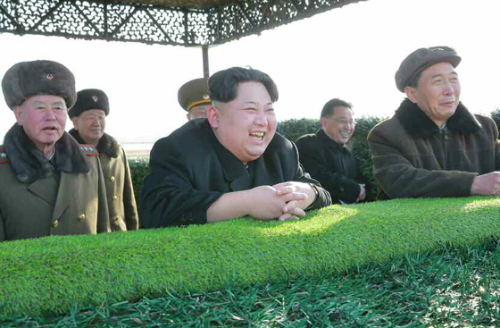 Bucket list item - pull glue-on-eyepieces gag on the Supreme Leader. I recommend putting it as the very last item on the list.